Regulators are focusing on work-safety issues within the health care industry, where more workers suffer illness or injury than in any other career field. Common risks include contact with hazardous chemicals or biological materials; exposure to radiation, x-rays and radioactive material; ergonomic and lifting hazards; violence; and exposure to contagious disease. The Occupational Safety and Health Administration reports more than 650,000 health-care employment injury cases are reported annually, some 25 percent more than manufacturing, which is the industry sector with the second-highest number of on-the-job injuries or illnesses. Our Boston workers’ compensation attorneys know it’s not just medical staff who are at risk, as non-medical personnel, including maintenance, housekeeping, groundskeeping, food service and administrative staff, also face above-average risk. However, nurses, aides, orderlies and attendants are at particularly high risk. These employees reported musculoskeletal disorders at a rate of 249 per 10,000 workers, compared to the national average of 34 injuries per 10,000 workers. Healthcare is a demanding occupation. They physical and mental demands and around-the-clock schedules make re-injury and disability a common occupational hazard. Contact with an experienced work injury lawyer in Boston can be done without cost and offers the best chance to protect your rights and your livelihood while recovering from injury. Many healthcare workers suffer repeat claims over the years, which can complicate a work-injury claim in cases where a worker’s compensation insurer challenges an injury as pre-existing. Under MGL 152 (Massachusetts Workers’ Compensation Act), workers who aggravate a pre-existing condition that was eligible for workers’ compensation benefits will be covered, even if the new injury occurs on the job for a different employer. However, if a pre-existing condition is deemed to be not work related, the new injury will be compensable only to the extent it is found to be a major (but not necessarily predominant) cause of the need for treatment. Thus, even in cases where you do not believe your injury is overly serious, being represented by an experienced law firm will leave you in the best position to protect your rights — both now and the event of future work injury. In addition to making sure you present a comprehensive claim in a timely fashion, your workers’ compensation lawyer can assist with determining the full economic value of lost wages, rehabilitation and current and future medical expenses. In many cases, healthcare workers are pressured to return to work before they are ready, which can result in additional injury or even permanent disability. Having an experienced law firm at your side from the start of your claim can protect your job and your career reputation while affording you enough time to make a complete recovery. It’s not necessary to prove an employer was at fault in order to collect workers’ compensation benefits. But proving causation is often still an issue as you and your attorney must prove your injury was caused during the course and scope of your employment. In far too many cases, employees also face termination, which can result in loss of health insurance benefits. While Massachusetts General Laws Chapter 152, Section 75B(2) offers protection to workers who are terminated in retaliation for filing a workers’ compensation claim. The federal Family Medical Leave Act (FMLA) also offers protections to workers for up to 12 weeks in most cases. COBRA continuing health coverage may also be an option, although it’s often prohibitively expensive. 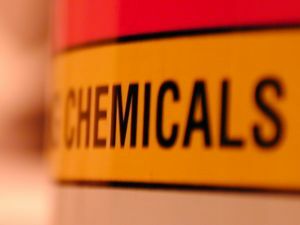 Chemical exposure: Healthcare workers are exposed to a wide array of dangerous and deadly chemicals and compounds on a daily basis, including ethylene oxide, formaldehyde, glutaraldehyde, radiation, lasers and hazardous drugs. Safe-handling and safety training are keys to preventing injury and OSHA provides broad resources to employers and employees seeking to reduce the risks. Infectious disease: Healthcare workers face exposure from direct or indirect contact. Contact transmission is most common through droplet or airborne exposure. Contact transmission includes exposure to contaminated items, like bed rails, exam tables and door knobs. Two examples of contact transmissible infectious agents include Methicillin-resistant Staphylococcus aureus (MRSA) and Vancomycin-resistant enterococcus (VRE). OSHA regulations aimed at reducing infectious disease exposure include: Bloodborne Pathogens standard (29 CFR 1910.1030); OSHA’s Personal Protective Equipment standard (29 CFR 1910.132) and Respiratory Protection standard (29 CFR 1910.134). Patient Handling: More than 27,000 healthcare workers suffer musculoskeletal injury handling patients each year. The number of nursing aides, orderlies and attendants who have missed work because of such injuries has increased 10 percent in recent years. Patient handling most associated with injury includes transferring from toilet to chair, transferring from chair to bed, transferring from bathtub to chair, repositioning from side to side in bed, lifting a patient in bed, repositioning a patient in chair, or making a bed with a patient in it. The obesity epidemic is partly to blame, as is the growing aging population and the diversity of treatment facilities, which include not only long-term care facilities but also acute care and home-healthcare. Workplace violence: Healthcare workers face more risks of violence than nearly any other profession besides law enforcement. From threats and verbal abuse, to intimidation, physical violence and even homicide, more than 11,000 healthcare workers are victimized by violence in the workplace each year. OSHA is actively working with the U.S. Department of Health and Human Services and the National Institute for Occupational Safety to assist healthcare facilities in implementing violence prevention programs. As we report on Boston hospital injury page, workers’ compensation benefits entitle you to coverage of cost of all medical bills and treatment associated with the injury, lost wages, reasonable cost of travel to and from medical appointments, and access to temporary or permanent disability benefits for partial or total disability. Burial expenses and death benefits are also provided under the law. While the Workers’ Compensation Act is a no-fault system meant to provide timely benefits to injured workers, securing all of the benefits to which you are entitled is never assured without experienced legal help.